Beautiful 2386 Sq. 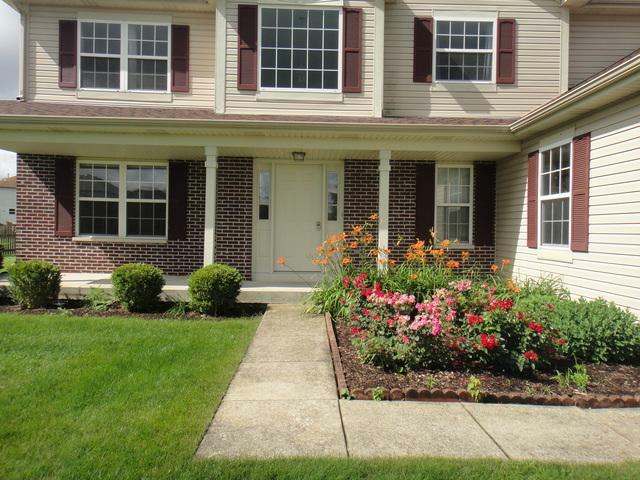 Ft. 4 Bedroom Home w/Welcoming Front Porch & New Professional Landscaping inc. Entry Rose Garden. 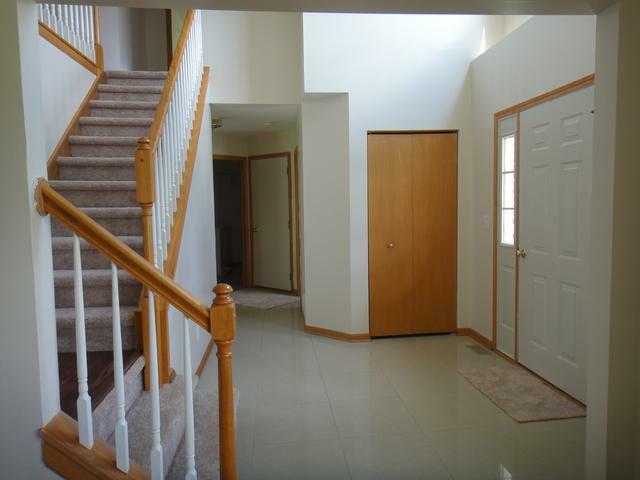 Tiled Foyer Opens to 2nd Floor w/Huge Window & Exposed Staircase. Formal Living & Dining Rooms Feature Newer Gleaming Hardwood Floors (2014) & Spacious Family Room Has Gas Fireplace w/Oak Mantle, Hardwood Floors, Vaulted Ceiling & Wall Of Windows. 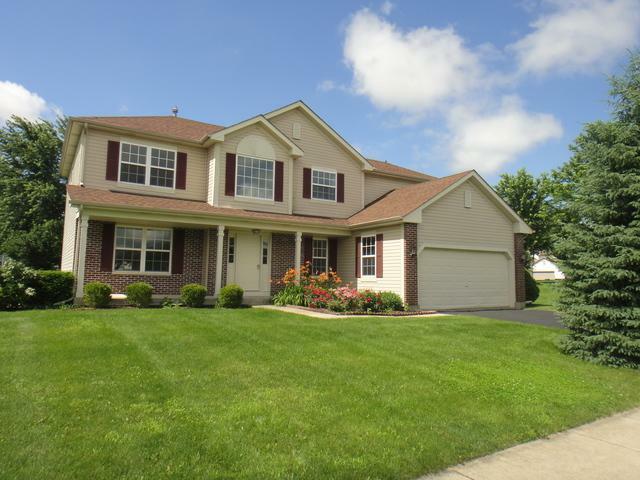 Home Has Abundance of Natural Light Throughout! Kitchen Features Plenty of Oak Cabinetry & Counterspace w/Island, Pantry, & Newer Tile Floor. Newer Fridge (2 yrs) & New Stove & Microwave. Tiled Breakfast Nook w/Sliding Glass Doors to Patio. 1st Floor Laundry w/Tile Floor & Washer/Dryer Included w/Half Bath off of Foyer. 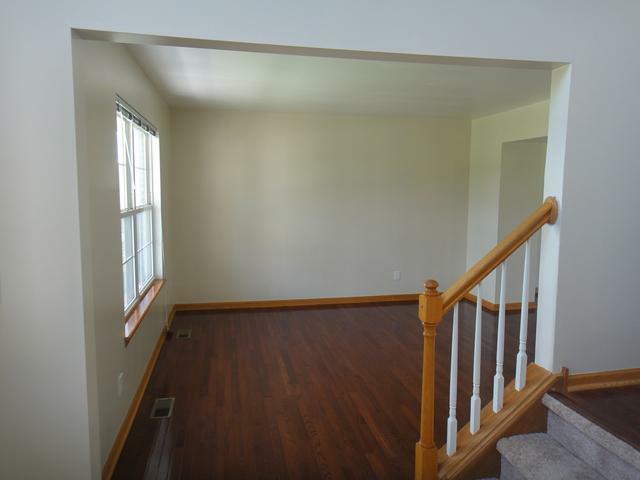 Beautiful Exposed Staircase Leads to 2nd Floor w/ Hardwood Hallway, Brand New Carpet in All Bedrooms, & Full Bath w/New Vinyl Flooring & Double Vanity. Master BR Features Private Bath w/Double Vanity, Linen Closet & Walk In Closet. 3 Add'l Generous Sized Bedrooms. Clean and Ready Now! Can Close Quickly!